Zinedine Zidane has refused to confirm whether Gareth Bale will be at Real Madrid next season but says he will play an important role in the closing weeks of the current campaign. 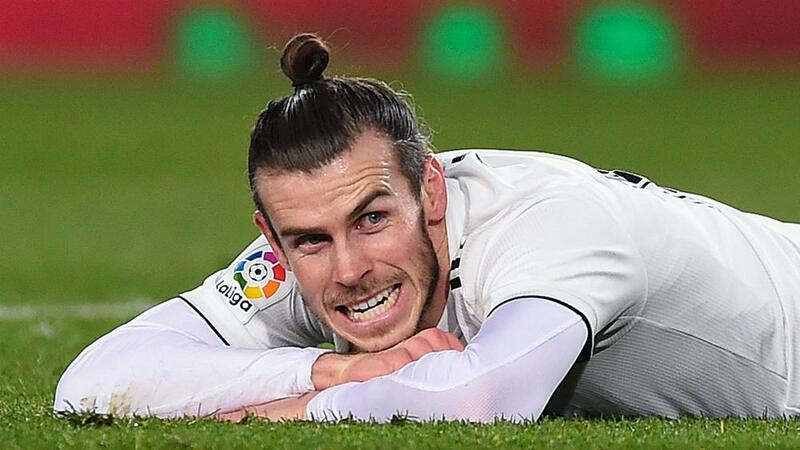 Speculation over Bale's future at the Santiago Bernabeu has been rife during a season in which Madrid have struggled to cope following the loss of Cristiano Ronaldo to Juventus. Zidane did not want to be drawn on the Welshman's future at his media conference ahead of Sunday's home clash against Huesca, stating only that he is part of his plans for the remainder of 2018-19. "We are going to play these 10 games and then we will see," he said when asked about Bale. "I will not talk about next season, we have 10 games left. Gareth is an important member of the squad, we know what he has done here, especially in the Champions League finals. "Nobody can take away what he has done. We know he can bring a lot to the team and we will count on him." Zidane was significantly more committal on the future of captain Sergio Ramos, insisting that the Spain international remains firmly part of his long-term plans. "Sergio is our captain, our leader," he added. "Here is his home. He will play many more years than me, for sure, because he also takes care of himself. "He is a very good professional and fundamental for this team and this club."